French pastries and European-style coffee will be available late-2018 in City Springs. 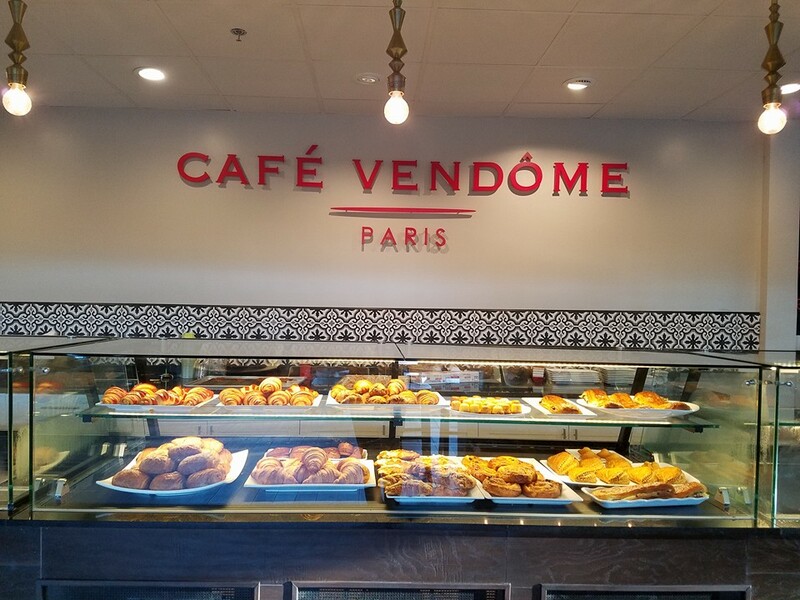 Café Vendôme, a restaurant that serves handmade traditional French pastries and bread, in addition to sandwiches, quiches, and coffee, later this year will open in the City Springs mixed-use development. This will be Café Vendome’s second location in Sandy Springs—the original, at 4969 Roswell Rd #155, opened in 2016. Owner Hamid Rouchdi decided to expand after the community rallied for a new location. "If this business is successful, it’s because of the community," Rouchdi Monday told What Now Atlanta in a telephone interview. "Expanding started with customers and neighbors. They wanted me to be [in City Springs]." The 1,500-square-foot Café Vendôme—about half the size of the original Roswell Road location—will offer the same food and coffee that made the concept popular. Operating hours might be different, however. To accommodate residents in nearby apartments, the City Springs Café Vendôme could have extended hours, opening sooner and staying open later. Rouchdi is looking to open the new location sometime in September 2018, but "nobody can predict the timeline this far out." Future locations locally and across the country could also be in the works. "There is room to grow nationally with the right partners for funding and management." string(48) "237 Johnson Ferry Rd NE, Sandy Springs, GA 30328"